Once again we are back at the excelent Roundhill Woods. if we came for the sat next time, what time are we allowed to drive to? Generally we drive from 12:00 until around 18:00 - we generally get hungry by 18:00 and nip off to get a takeaway and some beer. We will not allow drinking and driving at any time and this usually means a 18:00 finish. we are thinkin of going for weekend anyway. I will ask the team to see if anyone can get to the site earlier, but there is a whole load of setting up that has to be done prior to any driving. Driving later may be on the cards, but recovery in the dark increases the risks and other hazards, so we will try and limit what can or cannot be done in the early evening. Just wanted to say hi, and if its ok to pop along to the event at the end of the month at Tring? 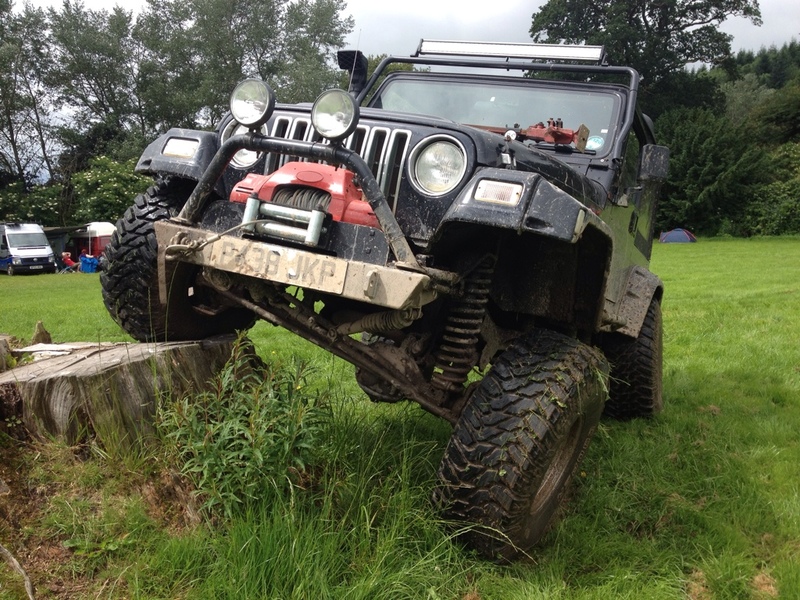 No doubt most of you are driving Landy's and the likes, so i hope you wont mind a Jeep chipping up? All are welcome regardless of their wheels. We have Landrovers, Suzukis, Toyotas amongst others that turn up. Please feel free to come along and enjoy the fun. I suspect if the soggy weather keeps up it will be very muddy.